You can cut some fish and chicken. 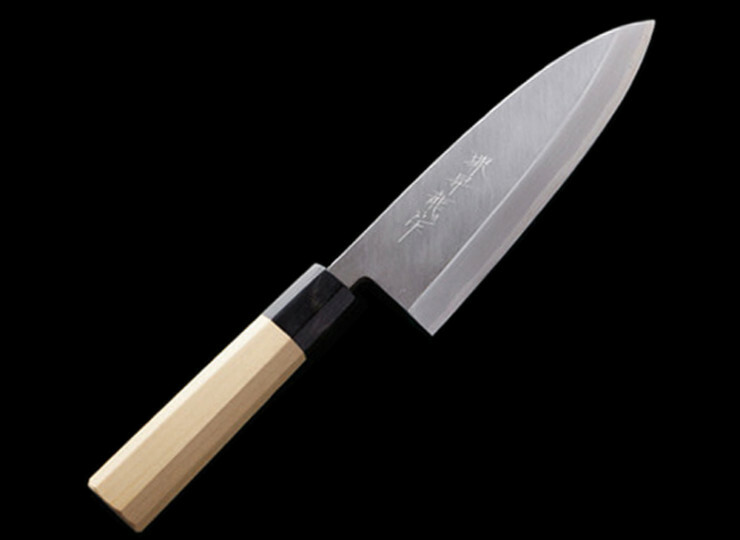 The shape of the blade is triangle and it is designed to cut foods with your power. Depending on its size, it can be called “Oodeba: Big Deba” or “Chuudeba: Middle Deba.”Blue #2 Steel is used in the blade, so please use this if you are looking for a better sharpness. Please be noticed that “Blue #2 Steel” is not stainless steel so it can be oxidized easily if you leave it wet after using it. Please make sure to keep it dry after washing it carefully.